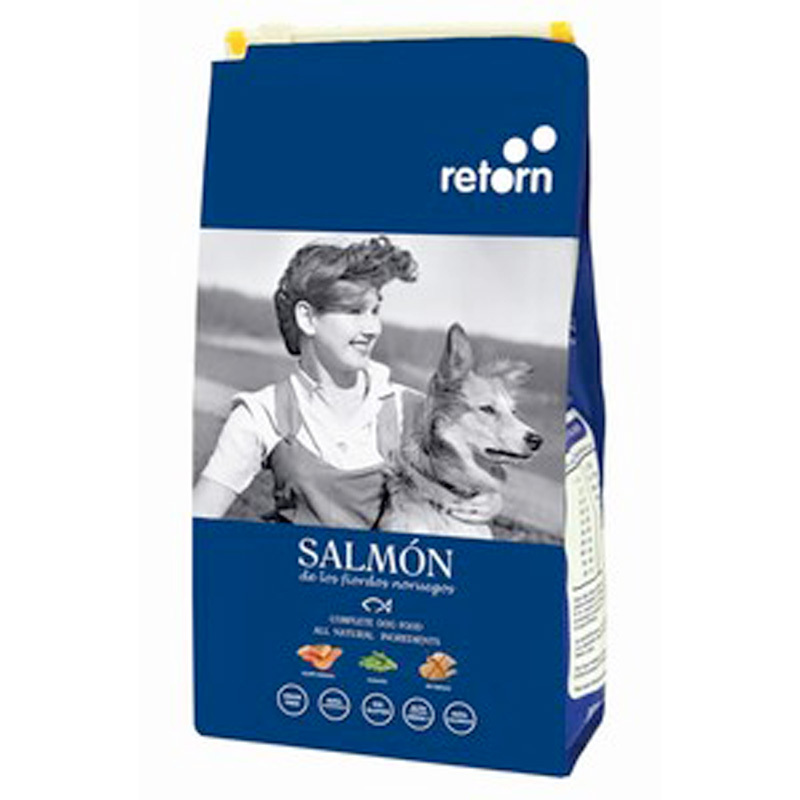 Dry dog ​​diet with no cereals and 27% salmon. With peas and potato as a complement to a single source of protein, salmon. Using the pea achieves a slower energy release and a feeling of satiety for longer. Salmon is a fish rich in Omega 3 acids that enhances brain development, helps maintain shiny hair and healthy skin and is beneficial to the heart and blood circulation. Fish protein is very easy to digest. Take care of the joints thanks to the glucosamine of the fish and to the Omega 3. Sacks of 1,5 and 6kg. Sacks of 1,5, 6 and 12kg. Composition: 27% salmon, 23% potato, 22% pea flour, fish meal, salmon oil, beet pulp, brewer's yeast and minerals. Protein 26%, fat 12%, ash 7.5%, fiber 2.5%, omega 3 1.9%, vitamin A 22,500IU, vitamin D3 1,800IU, vitamin E 700IU, zinc 600mg, copper 30mg, calcium 2, 5mg. 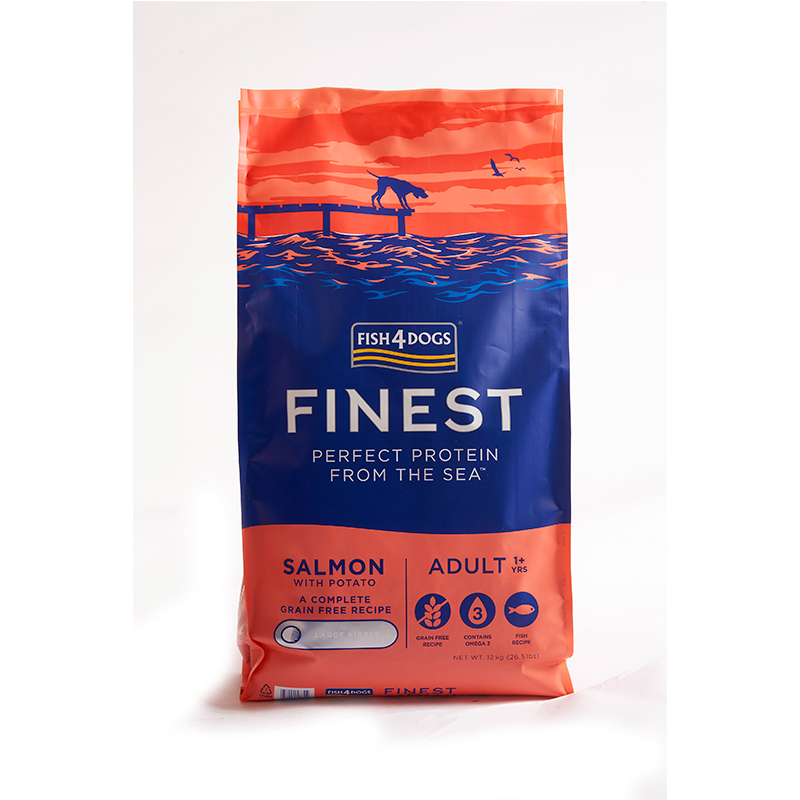 At Fish4Dogs we sell a fantastic range of super premium dog food. Tasty, natural and healthy fish-based premium dog food and treats; which are gluten free, hypoallergenic and packed with naturally occurring Omega 3. Feed fish, and see the difference.